Need to get quick results? Let us find an auction offer just for you. 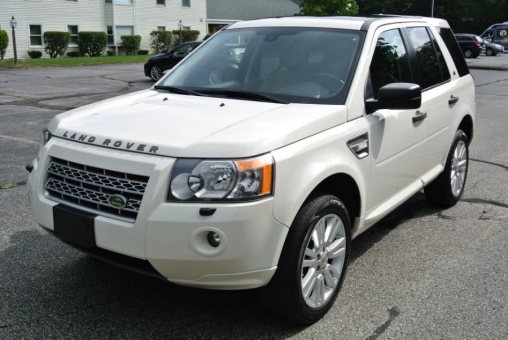 2009 Land Rover LR2 HSE - best color!!! Navigation system, panorama sunroof, heated seats, premium sound, 19" alloy wheels. Well maintained. With Auto Auction Finder you will quickly enjoy concrete results of your activity on vehicle auctions or car trading sites. Choose a cars auction with our help and bid only on quality autos and cheap cars for sale directly from our website. Feel secure in the fact that although your purchase is private legal title is guaranteed. We thoroughly verify the business reliability of the public car auctions we suggest you and consider it essential to collaborate only with the most serious and secure police car auctions, insurance auto auctions, government car auctions, salvage car auctions and repo car auctions. Our staff is always ready to support you with the necessary information or advice during the auctioning process in order to ensure you are happy with your purchase on Auto Auction Finder. On Auto Auction Finder we acknowledge that general public are our audience, and we are happy to work with private car sellers, auto dealers, vehicle dealerships, car traders etc. Find your auto auction with us! Purchasing at auction differs from purchasing privately. Have a memorable and enjoyable car buying experience on Auto Auction Finder and appreciate all the advantages an online public auto auction may offer. Our staff are trained to optimally satisfy your car buying needs and to exceed your expectations. Buy autos and auction cars with us!